ITS Education Asia Article - Why study economics? Intermediate and secondary school students looking to register for their IB/GCSE/A-Level courses have never had more options to choose from. While this growth in choice has definitely created many exciting possibilities for students, deciding what to study has never been trickier. With options ranging from Afrikaans to Philosophy open to students, the choices can seem overwhelming. When constructing the portfolio of courses to study, students need to strike a balance between exploring their unique personal interests and in studying subjects which are most practical and useful for their future both at university and beyond. While each subject has its own merits, a strong foundation in basic economic theory provides students an invaluable basis for making sound decisions in their everyday lives, for understanding the world around them, and for further education in a variety of areas. For these reasons and more, economics deserves consideration when deciding on what courses students should incorporate into their studies. There is much confusion over what exactly economics is. 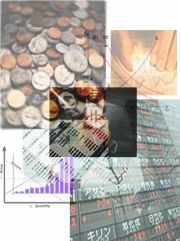 Many people think that economics is the study of the stock market, or of money, or of commerce. While economics certainly offers insights into each of these fields, its true power lies not in analyzing particular aspects of the economy, but rather in developing a general way of seeing the world. Many people are deterred from studying the “dismal science” because they believe that its insights are confined to the dull and stuffy realm of old, erudite men debating governmental fiscal and monetary policy. However, the truth is that economics offers much broader and applicable insights not only into areas of financial and academic inquiry, but also into social situations and seemingly every facet of one’s life. Economics is principally the study of scarcity and of how limited resources are allocated in response to unlimited wants and desires. In our own lives we all face scarcity in many forms, notably in terms of time and money. Consuming or pursuing one thing always means not consuming or pursuing something else. Studying economics allows students to come to see that nothing in life is free and that there are a seemingly infinite number of trade-offs in life. Given that we all face these trade-offs, economics provides general and powerful tools for deciding how one should best respond to the challenges of scarcity. Another benefit of studying economics is that it can help students develop intuition which will allow them to make sense of the complex and interrelated world in which we live. Particularly in a location as keyed-in to the global economy as Hong Kong, all one needs to do to get a sense for how integrated our everyday lives are to distant economic forces is to open a newspaper. Trying to make sense of the global economic crisis and recovery, the Lehman mini-bond scandal, the surge in housing prices, or the European debt crisis without any grounding in economic theory is like trying to perform complex multivariable calculus without first learning how to add. However, if a foundation in basic economic principles is steadily built up, the relationships between seemingly disparate events can become clear, allowing students to gain valuable insight into the forces which shape the world around them. Studying economics at the intermediate or secondary school level also provides a great foundation for further studies in a number of academic disciplines. Economics provides valuable insights into a diverse range of academic subjects such as history, geography, sociology, law, international relations, political science, finance – and even subjects such as biology. Having the foundation to view these subjects through the analytical framework of economics would provide for a more enriching academic experience for students at the university level. If students decide to go on to study economics at university, they open the door to a number of rewarding and interesting careers in academia, the private sector, or in policy-related roles. In further economics studies, students will likely also have a choice of courses to take within their major covering interesting options spanning the gambit from more data-oriented (and mathematically demanding) courses such as statistics, econometrics and financial economics to more qualitative courses such as international development. There is also one final benefit of an economics education: the starting salaries of students who study economics at university is consistently ranked as being among the highest[i]. Economics is certainly not the easiest subject to study, but it can be one of the most rewarding. The effort that students put into developing the economic way of thinking is sure to pay dividends in the future. The benefits of developing this way of viewing the world are not only academic and professional, but will also be evident in everyday life through things such as being able to think meaningfully about a proposed government policy or being able to understand the nuances of a complex news article. Students who do decide to pursue economics are ultimately able to more meaningfully interact with the world around them, making them more knowledgeable and responsible global citizens. For students interested in learning more about economics before committing themselves to this course of study, reading some books on the subject could be enlightening. Books to consider for further exploration include Steven Levitt’s Freakonomics,Tim Harford’s The Undercover Economist, Muhammad Yunus’ Banker to the Poor, as well as the foundational book of economics, Adam Smith’s The Wealth of Nations.